Seeds of a New Chapter? You are here: Home / General Interest / Seeds of a New Chapter? Virginia’s Eastern Shore: it’s that part of the state that is separated from the rest of the Commonwealth, attached by land to Maryland and connected to the rest of Virginia only by the 17.6-mile Chesapeake Bay Bridge-Tunnel, an engineering marvel. All too often the ES is omitted from simple maps of the state, and residents justifiably feel disconnected from mainland VA. I went there early this month in the hope of drumming up support for a new VNPS chapter to launch in the area. The “Shore” was the first area of the state to become involved with the state’s Native Plant Marketing Campaign through a grant from the Coastal Zone Management (CZM) Program within the Department of Environmental Quality (DEQ). 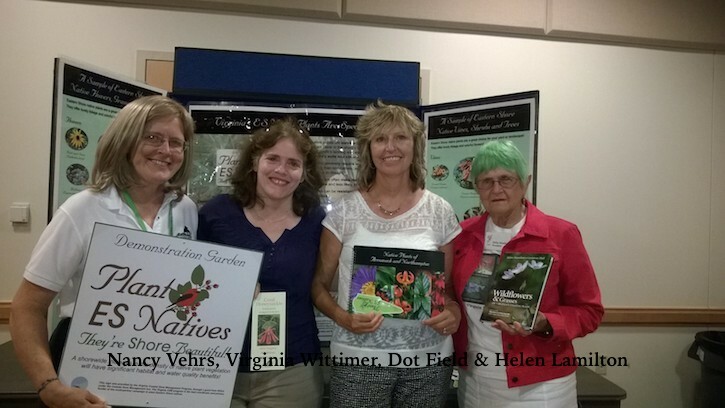 DEQ’s Virginia Witmer and Dot Field, the Department of Conservation and Recreation’s ES natural area preserve steward, and who sponsors the area’s Master Naturalists Chapter, led the effort to create an eye-catching color guide to ES native plants that are attractive in garden settings. Noting the considerable interest in this campaign on the Shore, it seemed only natural that the VNPS should be involved in the area. Despite an active core group of more than 60 Master Naturalists, the Shore is represented by only two VNPS members. With John Clayton Chapter member Helen Hamilton on somewhat of a “book tour” for her recent Wildflowers & Grasses of Virginia’s Coastal Plain, she was a natural fit for a speaking engagement sponsored by the VNPS. Helen initiated the VNPS involvement in a pollinator week proclamation by the Governor and the group requested her program “Native Plants for Pollinators.” Dot Field secured a room at the ES Community College in Melfa for a Friday night presentation, so we were set. Several of us, including Virginia Witmer, Helen Hamilton, Dot Field, Ruta Vaskys, met at the Island House Restaurant in the tiny waterfront town of Wachapreague for dinner prior to the presentation. We discussed the challenges of starting a chapter in an area with only two very rural counties for a population base. 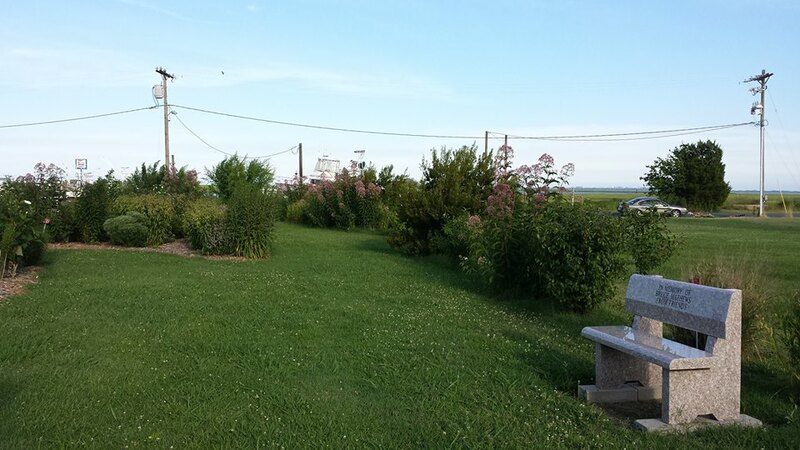 Afterward Virginia showed off the town’s lovely native plant demonstration garden across the street. Once at the community college, Helen Hamilton inspired the 58 (yes!) program participants with her photographs of natives with various pollinators. Helen shared a lot of photographs and wisdom from her years of plant gardening in the Williamsburg area. Afterward she sold and signed many books, and I provided a multitude of VNPS materials and made a pitch for membership. If so many Shore residents are eager to attend a native plant program on a Friday night, then there is definite interest! But if they’re not quite ready to take the plunge of forming their own chapter, they can join their brethren in the South Hampton Roads area. I was certainly pleased to see so much enthusiasm for native plants and I hope that they can see the benefit of joining forces. Let’s welcome those Shore residents at the annual meeting in Virginia Beach in October.